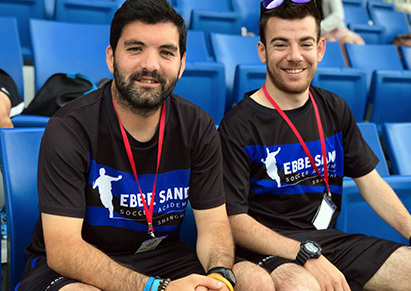 The ESSA coaches team is formed by a group of international soccer professional coaches with the highest academic credentials, technical certifications and experience as both players and coaches. Nevertheless, their humble and charismatic personality as sports educators and service providers has become the most important strength in our team. We all have a customer service oriented mindset, positive personal and professional habits, we are well educated in speech, body language and behavior towards the players, parents, coaches and all people inside and outside our soccer sports local and global community. A very important characteristic of our team is the great diversity of nationalities, which gives the team a multi cultural and tolerant approach to both the personal and professional everyday matters. This diversity has lead everyone into a deep understanding and acceptance of our differences, and at the same time, a very strong cohesion towards our football passion and common professional objectives. We can currently provide lessons in English, French and Spanish.